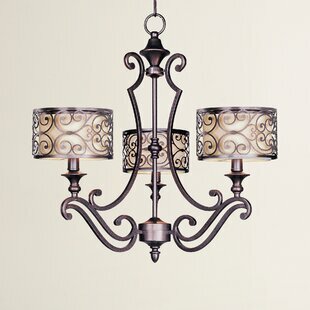 This chic chandeliers 3 drum shades are accented with an elegant openwork overlay to give it a dash of eye-catching appeal. 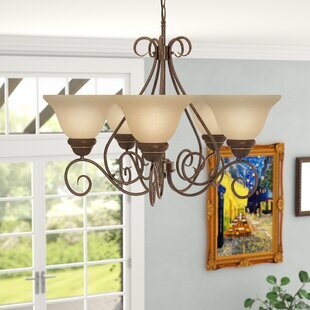 Hang it above your dining room table to update your decor in a pinch, or suspend it in the foyer for a warm and welcoming glow. 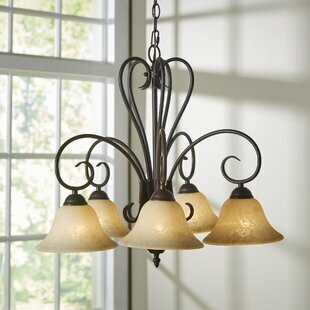 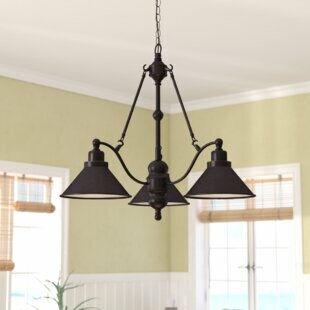 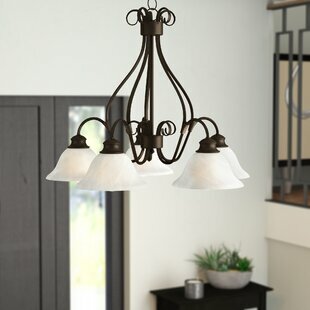 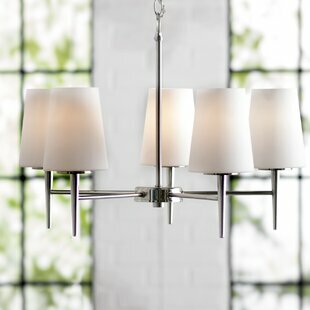 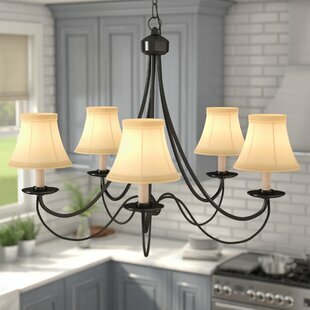 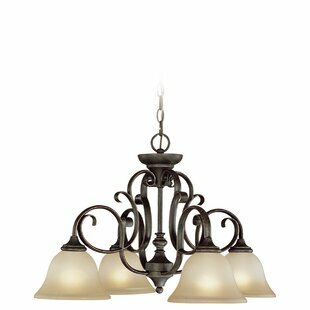 Number of Lights: 3 Fixture Design: Shaded Chandelier Overall Height (Hanging): 60.5 Fixture: 23.5 H x 24.5 W x 24.5 D Overall Weight: 7.63lb.